In this sweet tale about a young girl who loses her two front teeth, the girl’s mother encourages her daughter to eat various vegetables every day. Little Zoe learns to appreciate healthy snacks as she anxiously awaits the growth of new teeth. 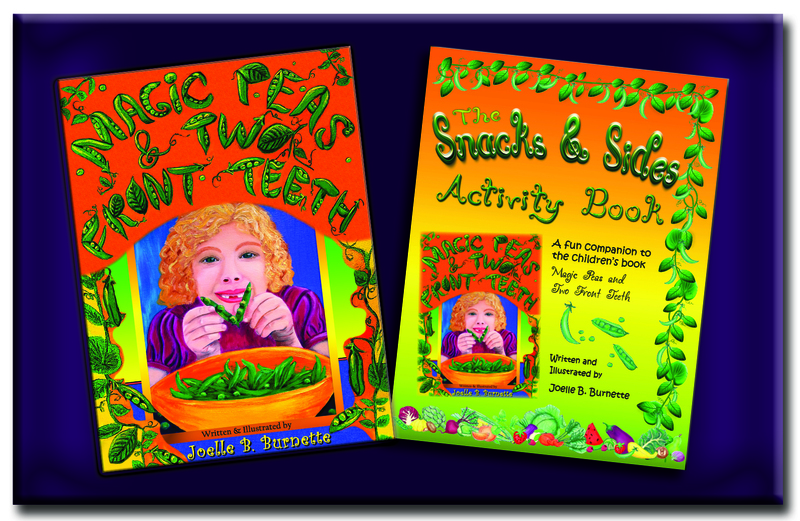 Magic Peas & Two Front Teeth is expected to be released in 2014. Don’t miss the Magic Peas Kickstarter campaign for great rewards. Please “Like” the book’s Facebook page, MagicPeas, where you can see some of the book’s illustrations painted by Joelle Burnette. Share this news with your friends! The cover has changed as the final version is developed. Below, a video shows how the first version of the cover was painted.